We are built for business and so much more! Designed in a timeless, attractive, classic, and distinctive prototypical design. At Wingate by Wyndham, we know you mean business. Our hotel is proud to offer a host of valuable amenities at no extra cost to you. Our all inclusive pricing model gives you access to services and benefits you will not find at other hotel chains, all FREE of charge.Business travelers will enjoy and appreciate increased productivity, by virtue of the standard Wingate by Wyndham amenities. All offered in one all inclusive mid level price and backed by the Wingate by Wyndham 100% Satisfaction Guarantee. We are high tech and consistent! Plus, every Wingate by Wyndham is built to stringent specifications, which means that all Wingate by Wyndham hotels offer all Wingate by Wyndham guests virtually the same experience. 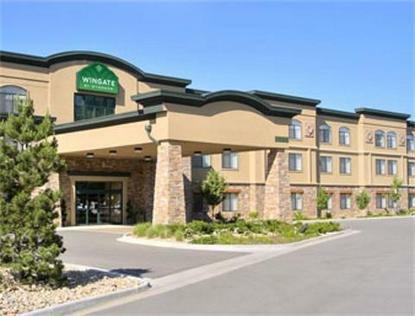 Every time!If you are looking for superior accommodations, wonderful service and a perfect location, Wingate by Wyndham Denver Tech Center has it all.Newly built hotel with 3,000 square feet of meeting space.Located in the Denver Tech Center, an area of corporate parks and business headquarters.Ten miles South of Downtown Denver.Area attractions include major league ball parks and Six Flags Elitch Gardens.You will also have the ability to earn valuable Wyndham Rewards points, air miles or rail points. Complimentary local shuttle is provided by the hotel.